Windsor Royal Station is placed in an accessible location for all visitors travelling by car, public transport or by foot. 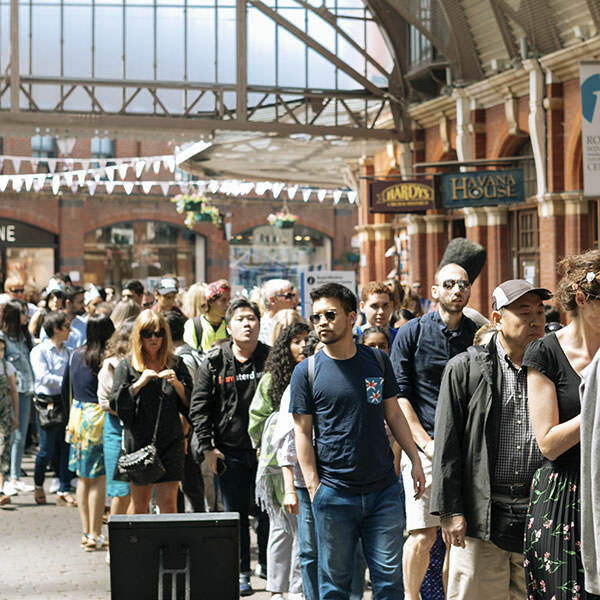 As our name suggests, Windsor Royal Station is home to a train station – Windsor & Eton Central -which via a connection at Slough, offers access from the centre to London Paddington in as little as 30 minutes. Alternatively, Windsor & Eton Riverside is only a 7-minute walk from the centre, with regular services to London Waterloo. Visitors driving to Windsor can access the town from the M4, M3, M25 and M40. There are more than 750 parking spaces in the multi-storey car park located a short walk from the centre. The car park entrance can be found on Charles Street, SL4 1EF. The centre is also linked to Windsor Coach Park which offers 74 spaces, allowing convenient access to our shops and eateries for anyone visiting us during a coach trip to Windsor.